Cauliflower prevents from different types of cancer and includes antioxidant properties and other nutrients. This annual plant resembles broccoli, but its color is composed of white with green leaves. 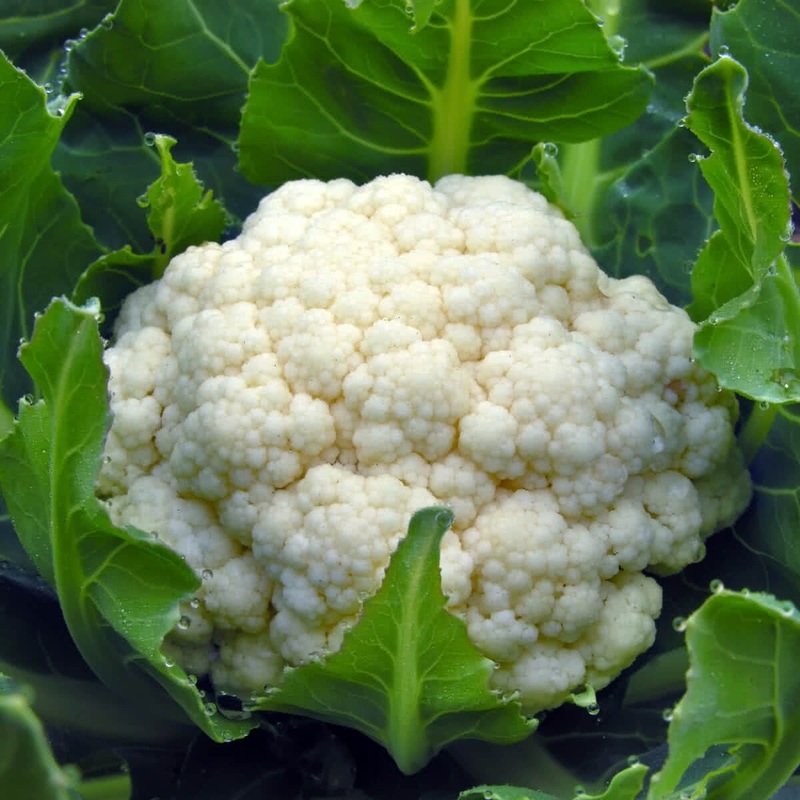 Cauliflower needs very rich soil filled with organic matter, manure and fertilizers before planting. 6 hours of full sun is required for the plant to grow. 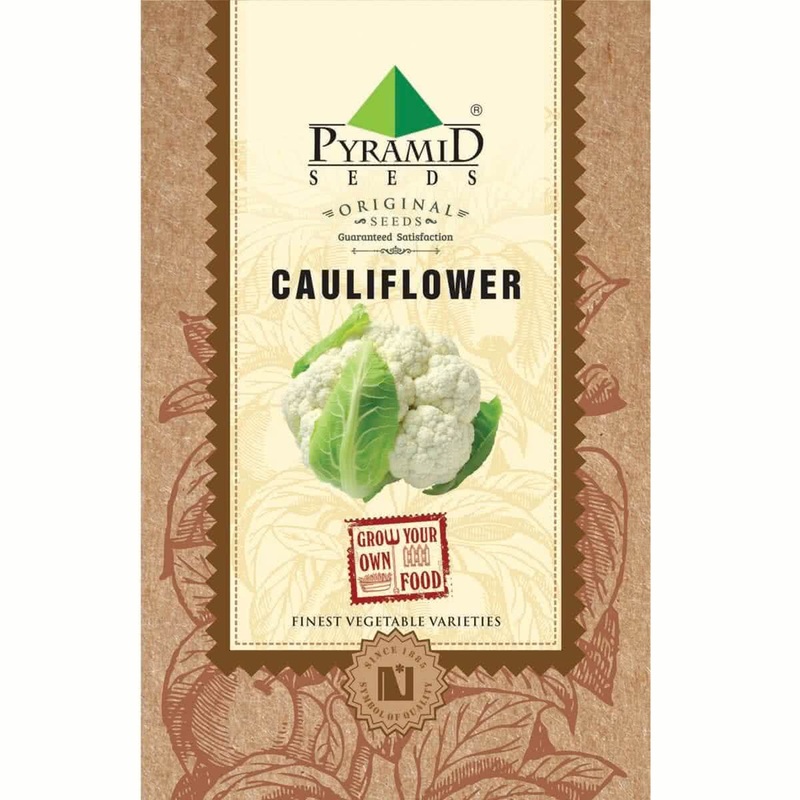 Introduction and Uses: Cauliflower is called the world’s healthiest vegetable because it is a rich source of dietary fiber, omega-3 fatty acids, choline, manganese, biotin and phosphorous. It also contains ample of vitamin B1, B2, and B3, the potassium, magnesium, and protein. It is a member of the cruciferous vegetable family- along with broccoli, cabbage, kale, etc. Because the seeds are small in size, Cauliflower plant is grown by transplantation method. Seeds are first sown indoors in seedling trays or outdoors on seed beds & later the seedlings are transplanted into the containers or in raised beds. Hold the Cauliflower seeds and sow 2-3 seeds per cell/cup. Since Cauliflower seeds are small in size, do not sow them deep. Transplantation: 21 to 25 days after the seed sowing, your seedlings will be ready to transplant in container pots or raised beds. Sunlight: Cauliflower grows well under full sunlight in winter. So place your containers accordingly. Watering: Water your potted Cauliflower plant every alternate day in winter. Water at the soil near the plant. Use a watering can and make sure that the plants get water in the form of the shower & not by a single flow. You can also make provision for watering by watering by drip irrigation system for your raised beds. Avoid overwatering. Plant care: Always look for the early signs of any insect/fungal infection/ any other infections. Spray appropriate medicines as soon as any symptoms of such diseases are spotted. Watch out for snails & slugs. Microgreens: If you plan to grow microgreens Cauliflower, grow it indoors in flat containers. Sow-scatter the seeds in a crowded manner. You can harvest it in 10-15 days by uprooting baby plants. Harvesting: (110-120 days from seed sowing) 85 to 90 days after transplantation, ‘Cauliflower heads’ will be ready to harvest. You can get single Cauliflower per plant. Harvest the Cauliflower when it is full sized, firm & solid. Approx. 100 to 112 Seeds in 400 mg, 6345 to 7050 Seeds in 25 gm, 25380 to 28200 Seeds in 100 gm, 63450 to 70500 Seeds in 250 gm. 100%Germination of both the packets. Really good quality vegetable Seeds. Packaging was very good. Will recommend to everyone.